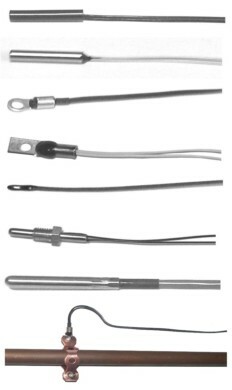 with external temperature sensor. Output load up to 60 Amp / 250Vac . 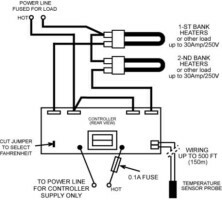 Electronic, digital controller designed for Heating or Cooling. This controller has an internal, programmable (interval) timer that is preset by rotating the knob on the left hand side. 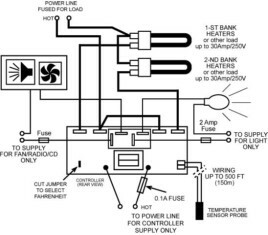 When the timer starts the internal thermostat will control the output high power relays ( 1 or 2 relays on-board rated at up to 30Amp or 40Amp each ). 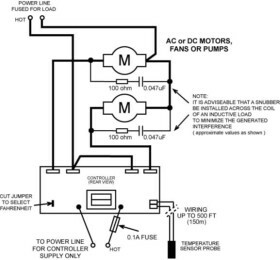 When wired to a Heater or another load like a Fan or a Pump, they will control the temperature. The temperature is preset by rotating the knob on the right hand side. 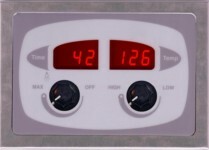 One digital display shows both, the preset and the current temperature and the other shows the preset time and the current count down. The output relays contacts are isolated for wiring to any low or high voltage source. Quiet, Arc-Free switching of high power load. The timer may be manually reset. Optional Additional relay (for light, fan ) may ba activated by turning the "timer" knob to fully clockwise. 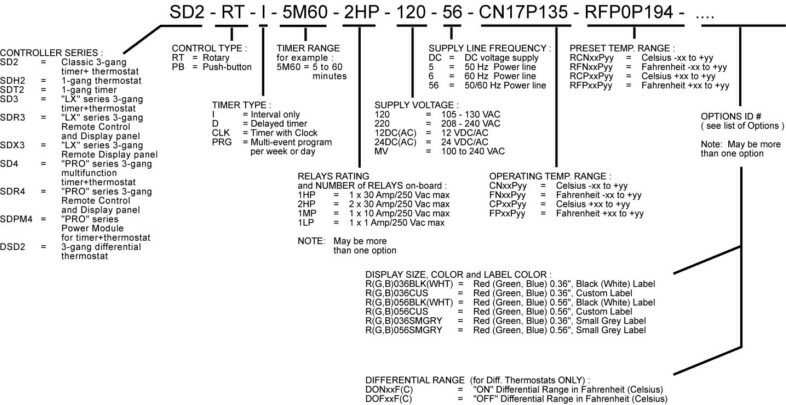 Additional relay(s) may be activated automatically and/or manually. The timer can count in seconds, minutes or hours depending upon the model. The temperature units are Celsius or Fahrenheit as selected by an on-board jumper. Face: Stainless Steel with Lexan decal. 5-3/8" x 2.75" x 2"
2 AC / DC Motors, 2 x 30 Amp max.